A.J. Calloway - longtime "EXTRA" host - has been suspended after several women have come forward with sexual misconduct allegations. A Warner Bros. Television producer confirmed the suspension in a statement written to The Hollywood Reporter. News of his suspension comes months after author and domestic violence activist Sil Lai Abrams went public with sexual abuse allegations made against Calloway AND as the publication has been preparing a NEW story with additional allegations. "In light of additional allegations brought to our attention, we are expanding our ongoing inquiries, and Mr. Calloway has been suspended pending further review," Warner Bros. Television continued. "We take such allegations very seriously and are committed to doing everything we can to ensure a safe and inclusive workplace for all of our employees." 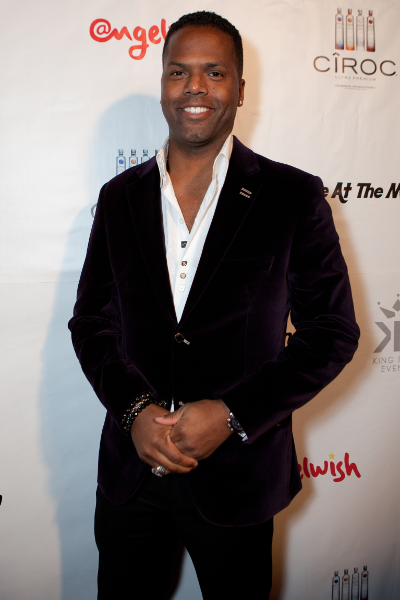 The former "106 & Park" host previously denied any wrongdoing. And he's still sticking to his story. Lisa E. Davis, the TV personality's attorney, released a statement claiming the allegations are false and that her client denies ever assaulting anyone. "Mr. Calloway maintains that these unsubstantiated allegations are patently false," Calloway's attorney told THR. "He vehemently denies that he ever assaulted anyone and looks forward to clearing his name." "EXTRA" is a half-hour syndicated entertainment news program, which is produced and distributed by Warner Bros. Television and airs on NBC owned-and operated stations. The show is moving to FOX stations in Fall 2019. The 44-year-old host has worked for the program since 2005, interviewing prominent celebrities on red carpets and at major events. In Abrams' 2007 memoir, "No More Drama: Nine Simple Steps to Transforming a Breakdown into a Breakthrough," she recounts how Calloway - whom she referred to as a “Well-spoken B-list celebrity” named Ray - exposed himself to her in the car and then threw himself on her despite her asking him to STOP. In a new interview with The Daily Beast, Abrams talked about how when she first came out with her story, nothing really happened. Warner Bros. Television didn't even release a statement about the sexual assault allegations. By the way, Sil Lai Abrams also came forward with sexual assault allegations against Russell Simmons as well. More accusers have come forward in an article published by The Daily Beast last month. One woman - using the pseudo name Talia - shared how the TV host forced himself on her after they had dinner and went back to his home where he invited “a group of people to his home to party." Please reconsider the need for there to be multiple victims willing to go public before the first accuser is believed. This is harmful to ALL victims & protects perpetrators from accountability when others are unwilling to come forward bc they are afraid of not being believed. Once they arrived at his home with the group, she noticed that “he made everyone put their belongings on the kitchen table.” The party proceeded downstairs to the entertainment room, which Talia said was complete with a home theater and a bar. During an interview with The Grio in October 2017, Calloway discussed the importance of speaking out and supporting women of color that have come forward with stories of sexual abuse.